Need to sell or lease your property? When you list your property with TRG Realty Services, we will work with you to find the most qualified buyers or tenants to occupy your property. Your property will be professionally marketed and shown by licensed real estate agents. 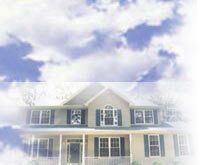 We use extensive advertising and network with area real estate firms and relocation companies. Our thorough tenant screening process includes employment and landlord verification, and we utilize online credit reports and an eviction records database. Need to know more about Landlord/Tenant Law?